Be a star with these fashionable earrings. 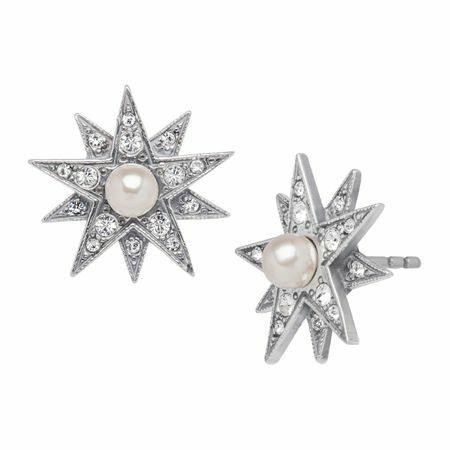 These Van Kempen earrings feature double star designs with dazzling Swarovski crystals and simulated shell pearl centers which are all set in sterling silver. Pieces measures 3/4 by 3/4 inches.